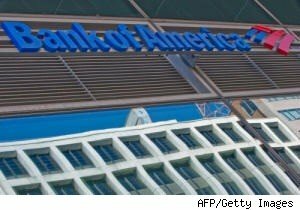 A New Jersey appeals court blasted Bank of America this week, chastising the company for the way it handled the case of a woman the court found to be making a good faith effort to hang on to her foreclosed home. In upholding a lower court decision, the New Jersey Superior Court’s appellate division questioned why the lender had approached Sylvia Ficco in October 2009 with a written offer to modify the mortgage payments on her Morris County home. The lender accepted her checks, and then tried to foreclose on the property, sending her a warning that the mortgage modification offer had been sent in error. “We confess some puzzlement at why a mortgage company would continue foreclosure proceedings against a debtor who, unlike many, is actually paying her mortgage,” the appellate judges wrote in a copy of the decision issued Thursday. A message left Friday for the plaintiff’s attorney, Jeanette J. O’Donnell, was not returned. Court papers show that Bank of America division BAC Home Loan Servicing L.P., formerly Countrywide Home Loans Inc., had sent Ficco a letter in October 2009, offering her a three- month “loan modification” trial after she defaulted on a nearly $600,000 home loan. The letter said she would be able to join the modification program permanently if she met the requirements and paid on time, according to court papers. She was qualified for the program in March 2010, according to court papers, and started making payments on her $591,913 mortgage. However, the bank later claimed that the trial offer had been sent in error, and that Ficco wasn’t meant to be permanently accepted into the program. The appeals court chided the company for its practices, questioning why it had sent the offer, accepted Ficco’s payments, and then reneged on the deal.